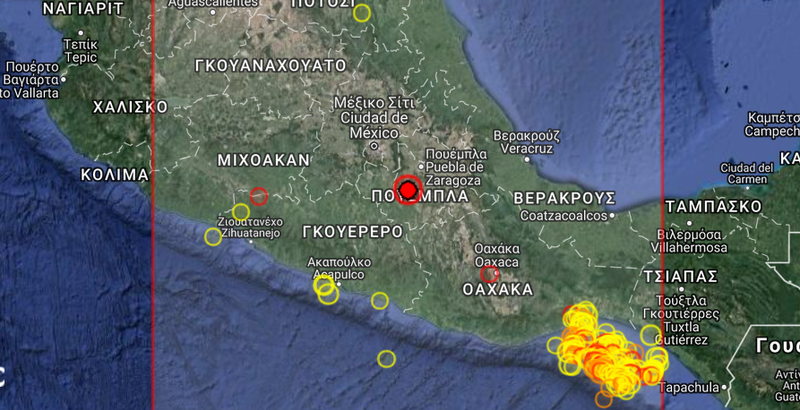 An earthquake of 7.1 magnitude shook buildings in Mexico City, the U.S. Geological Survey said. Buildings have been seriously damaged in the city, according to AP. Mexico City is built on former lakebed, and the soil is known to amplify the effects of earthquakes even hundreds of miles away. People react as a real quake rattles Mexico City on September 19, 2017 as an earthquake drill was being held in the capital. 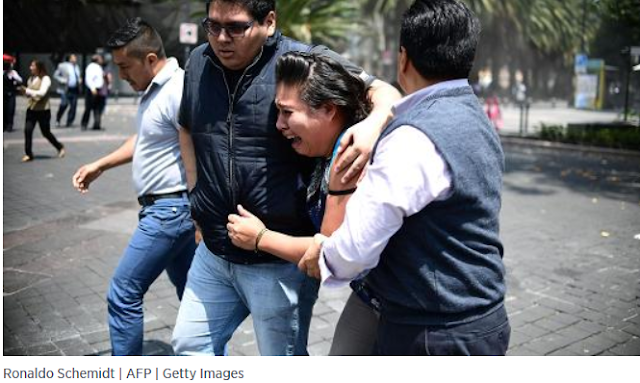 A powerful earthquake shook buildings in Mexico City on Tuesday, on the anniversary of a 1985 quake that did major damage. The U.S. Geological Survey said the earthquake of 7.1 magnitude hit 5 miles southeast of Atencingo in the state of Puebla, at a depth of 32 miles. Buildings have been seriously damaged in the city, with local television stations broadcasting images of collapsed facades and streets filled with rubble. There are no immediate reports of casualties, according to AP.